One level living in a country setting conveniently located to Knoxville, Jefferson City, Sevierville and just minutes to Cherokee Lake and Golf courses. The interior of this immaculate 1,983 sq.ft home features hardwood and tile throughout with 3 bedrooms and 2 full baths, large living room, dining room, kitchen with butchers block countertops, slate tile flooring, and stainless steel appliances, and media room with built in surround sound speakers. 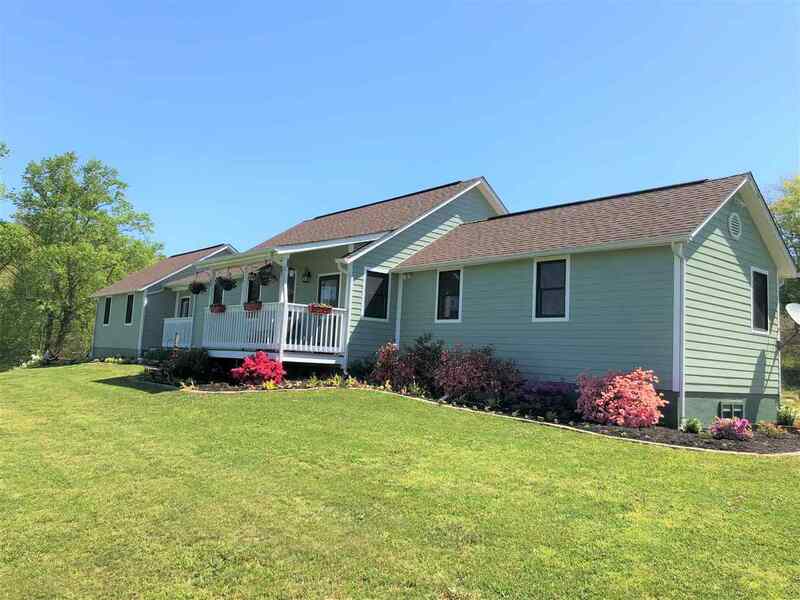 The exterior has hardy board siding, covered front porch, beautiful landscaping, nestled in the country on 2.5 usable acres. This property also features an awesome detached 1,600 sq.ft oversized 2 car garage with built in work bench, separate meter, fully insulated, plenty of electrical outlets already wired with surround sound, TV and phone. Don&apos;t let this home pass you by!